Saw the look on his face so I went to give him a dollar. 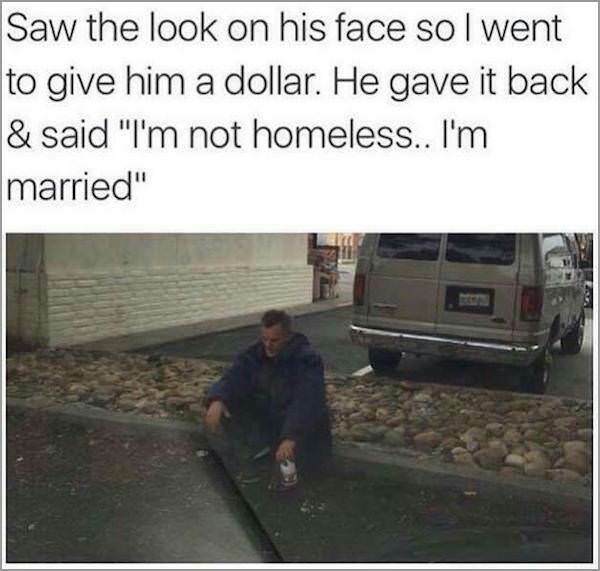 He gave it back & said "I'm not homeless... I'm married."